Another foe has fallen. You stand victorious over the unwise soul that misjudged your youth. A master of your skill, you overtake all enemies swiftly. 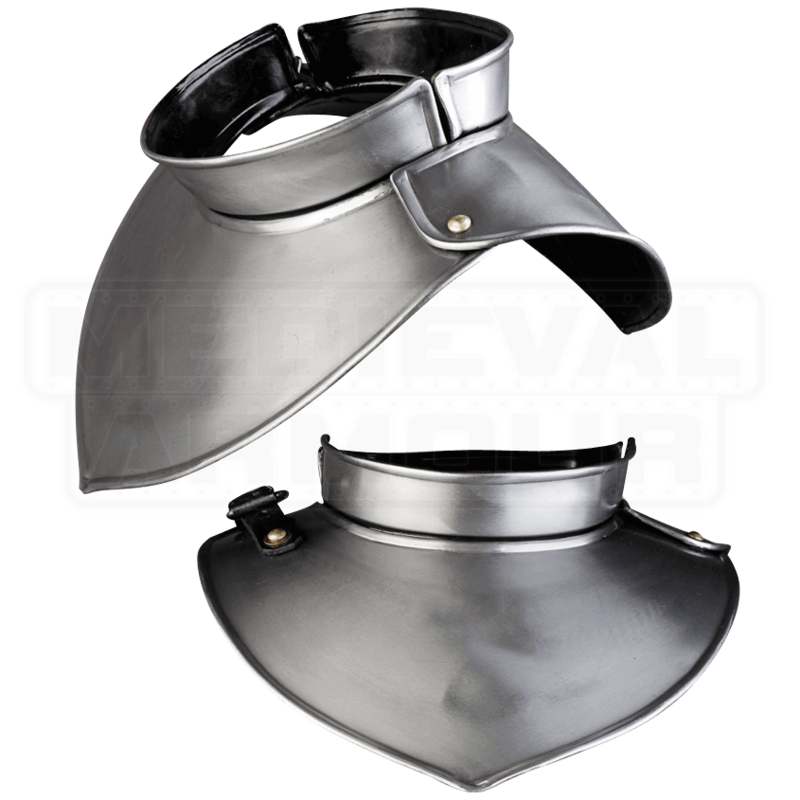 Reinforce your sturdy defense when clad in the Steel Lucas Youth Gorget. This mantle is a perfect fit for the youthful LARP adventurer. Rivets and beaded edging reinforce the durable design of this neck guard. The raised collar provides extra protection with stylish flair. The back plate of the gorget is dimpled as well, for an ergonomic fit. The right shoulder features a buckle strap that the wearer may adjust for a comfortable fit. Enter your next LARP battle properly defended with this trusted gorget protecting your upper body.